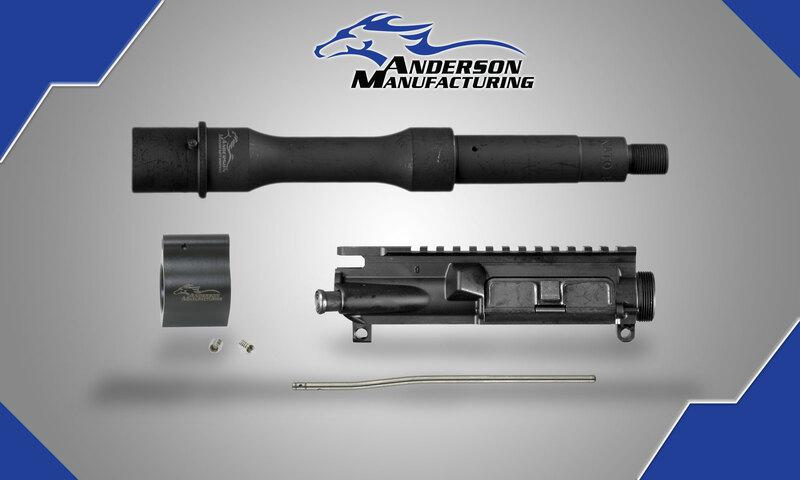 The Upper Build, 7.5″ .300blk Kit is a great upper starter kit for your build! Add your own upper parts kit, charging handle, BCG, forearm, and flash hider to finish this upper build. This Kit Includes the Following: .300blk 7.5″ Barrel – Pistol Length, AM-15 Stripped Upper Receiver, AM-15 Gas Block, Low Profile Steel – .750, and an AM-15 Gas Tube – Pistol Length. The 7.5″ .300 Blackout M4 barrel is the perfect barrel to start your next build and add to your AM-15 collection. This barrel is made from 4150 Chrome Moly Vanadium Steel with a Parkerized finish. Featuring a pistol length gas system with a .750″ gas port and a 1:7 twist, this barrel provides top accuracy and precision for your .300 Blackout build. The AM-15 Stripped Upper Receiver is machined from 7075 T6 Aluminum forging. Featuring M4 feed ramps, this upper receiver is machined to Military Specifications & Standards and can be used with multiple calibers on the AR-15 platform. 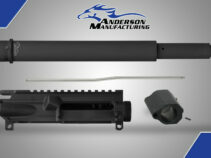 This upper receiver comes in type III hard coat black anodize. Match this Upper with one of our Lower Receivers for a solid fit for your AM-15 build. The AM-15 Low Profile Gas Block Assembly is intended to fit underneath free floats. This Gas Block is made from 12L14 Steel and is compatible with a .750 dia Barrel. Nitrite finish with laser engraved with the Anderson Manufacturing Logo on one side. Roll Pin and Set Screws are included with this gas block. 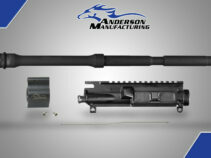 The AM-15 Pistol Length Gas Tube is 6.75″ in Length and is compatible with the AR-15 Platform.